Great experience! Very speedy and accommodating of my special instruction. It was very clean and tidy and the service was speedy-I was in and out in seconds. Solid buffalo chicken wings and fries. Was so hungry and this hit the spot! Hospitable service. Tucked away and yet conveniently located. The wings were excellent. They were freshly prepared, hot, and really tasty! Ordered wings from here for my super bowl party. It’s really good. We are so excited to learn of a wing spot that not only is super delicious, but delivers as well! (the alternative is pickup only). The husband said it may even be his favorite wings yet - he loved the Honey BBQ, and the Teradactal. The curly fries are spicy, crisp, and delicious. 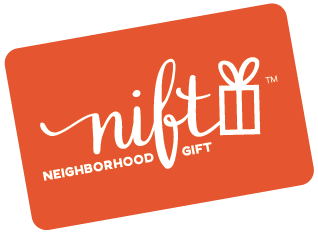 Using the nift gift was super easy as well. Can definitely recommend. Mild spicy Buffalo Wings are great! Try city grill is a bit off our normal beaten path, but the food was well worth the visit! Delicious and very friendly service. Thanks! Very good. Large chicken tenders, and great onion rings! The portion sizes are huge! But the food is delicious. Just added them to my list of go-to places. Love all their wings & tenders! Recommend “5”...I am unable to get the numbers to highlight! Wings were delicious! As was the Greek wrap! Excellent wings! Friendly and kind service! Chicken tenders so awesome, amazing dipping sauces. So much food and it was very good. We will be coming back but maybe sharing one meal. We got the 12 wings with fries and a soft drink. Great wings with great flavors! Super friendly staff. Immaculate restaurant! Tasty, crispy and spicy chicken tenders. Thoughtful staff. The only thing I would ask for is more blue cheese dressing. I only received one serving for 12 tenders. We LOVED it and will definitely be back...big portions at a reasonable price, and delicious! The chicken tenders were delicious! Will definitely recommend.